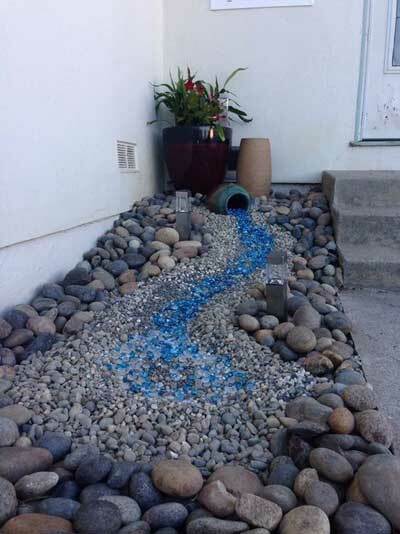 Who would like a dry river bed instead of masses of flowers filling their space? Well, maybe your the type of person who doesn’t like gardening. 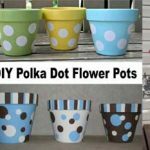 Or maybe you simply don’t have time to spend pruning flowers and watering the lawn. Or maybe you are like my Aunt and just can’t bear the thought of the creepy crawlies in amongst the shrubbery. Well, this could well be the perfect answer for you. 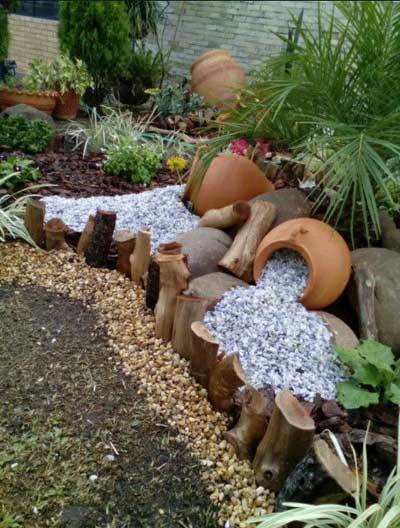 A beautiful, colorful ornate garden made from clay pots, rocks, stones and shiny gems. 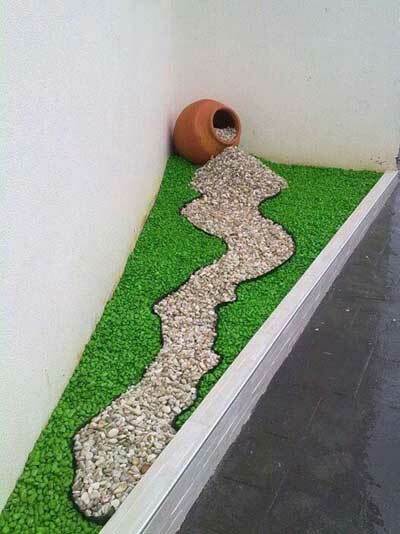 Even a little fake grass if you would like. Let’s face it, everyone loves to go sit in the sun occasionally, well almost everyone. 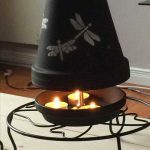 So, I have gathered sixteen amazing ideas to spruce up those dull boring concrete jungles or overgrown unloved gardens. 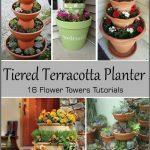 They are very low maintenance, relatively easy to achieve and so much fun to look at. Have fun and feel free to send me pictures of your designs. For those of you that like just a little live greenery this one is ideal. 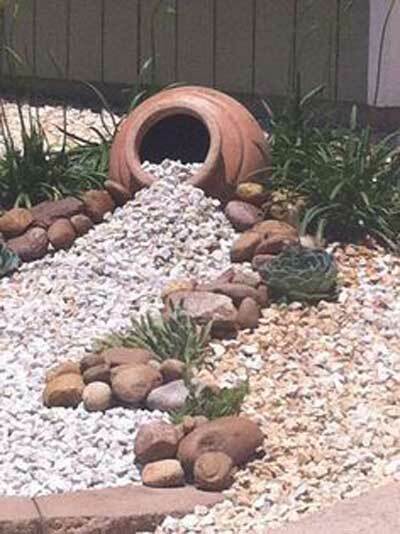 As you can see using a large bulbous pot as the source of the river of shingle. 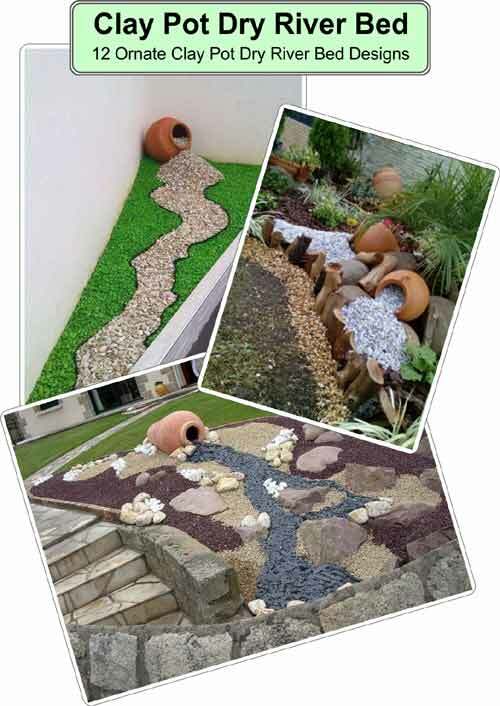 Large rocks to create the river banks, and a few succulent plants, which are very low maintenance. They have created a lovely beach effect. I love this one. 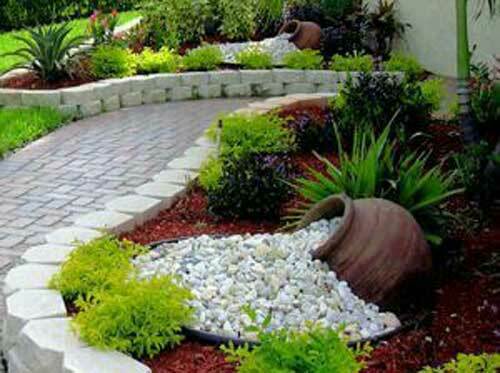 A simple shingled garden. 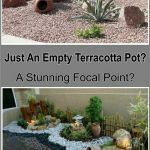 The focal point being this area of lush vegetation surrounding a single bulbous clay pot. Tapering off along a river of blue and white shingle. My thoughts immediately flow to a lush desert oasis. Here is one that is extremely low maintenance. 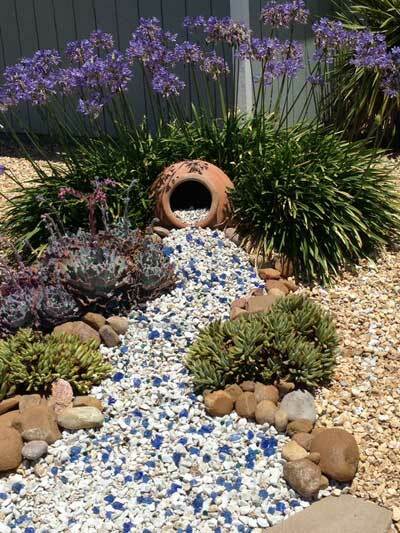 The combination of different sized rocks and shingle, coupled with the lovely blue glass beads leading from the mouth of a colorful pot, give the impression of actual water flowing. I like the fact that they have added some solar lights to light your way. This one has more of a tropical feel to it. 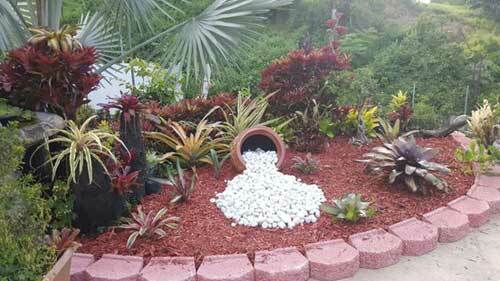 With its lush bromeliads and flowing ferns. Still fairly low maintenance but definitely moving more towards the idea of spilled flowers. Although this one has a busier feel to it, it is still actually very low maintenance. 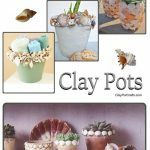 The combination of slow-growing succulents and lots of rocks of varying sizes make it very easy to care for. Feeling a little bit like we’re in the wild west with this one. 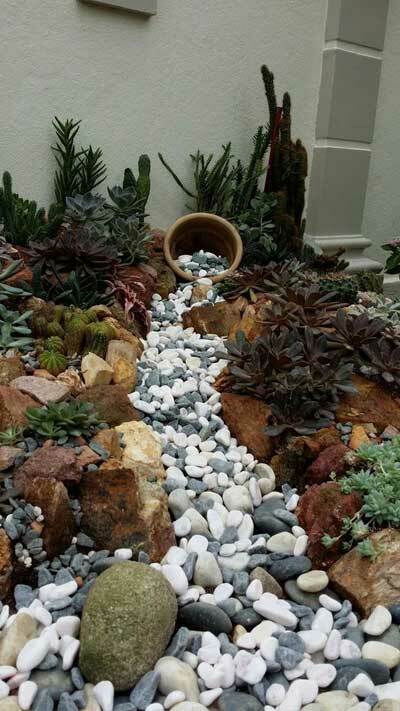 They have the dry river bed placed on a dusty soil patch and there are Cactus style plants in the background. 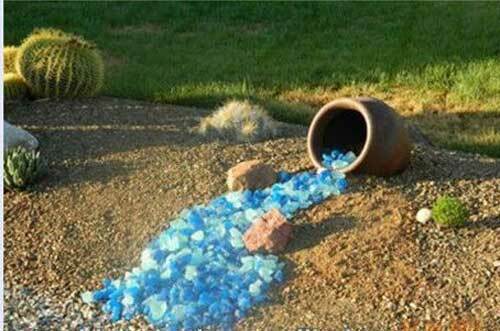 To achieve the foamy water style they have used glass rocks. 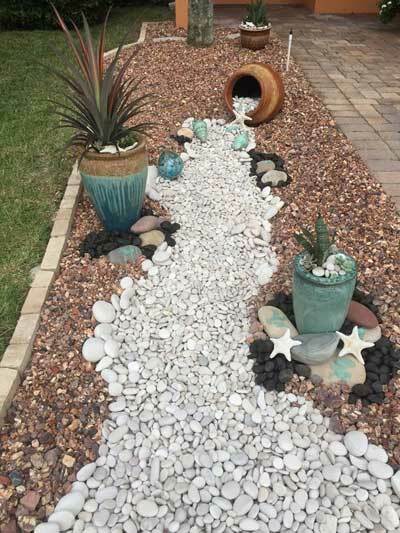 To get more of a beach at home feel just add some starfish ornaments, large shells and lots and lots of pebbles. Job done. Ok, so this has to be the ultimate in easy maintenance. 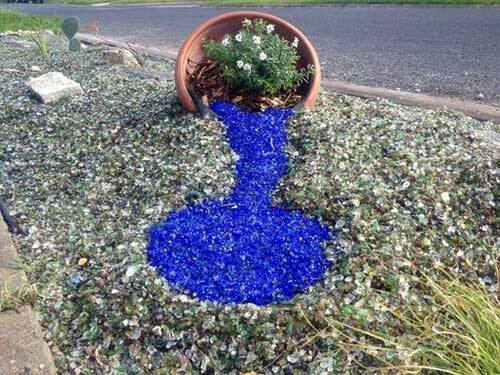 They have used a single clay pot, Green glass stones (although you could use fake grass), and lots of shingle. 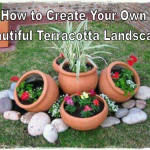 Simply stunning and easy to achieve. Back to a more busy looking border. All nicely fenced in with random looking logs, filled with multiple spilling pots, large rocks, and lovely plants. 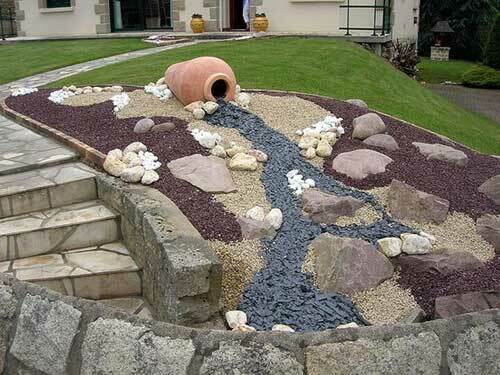 Although still packed with lots to see this front garden feature would be very easy to upkeep. A very ornate entrance way in my opinion. Another front garden feature. This time totally without plants of any kind. Yet another totally different effect and what an impact it has. Quite a simple display, but the blue is simply stunning.